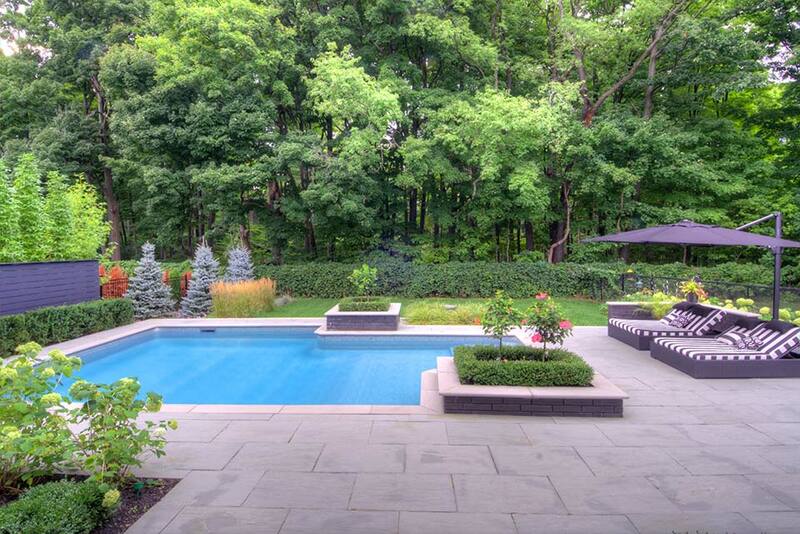 The Salem’s backyard is luxurious, classic and picturesque. 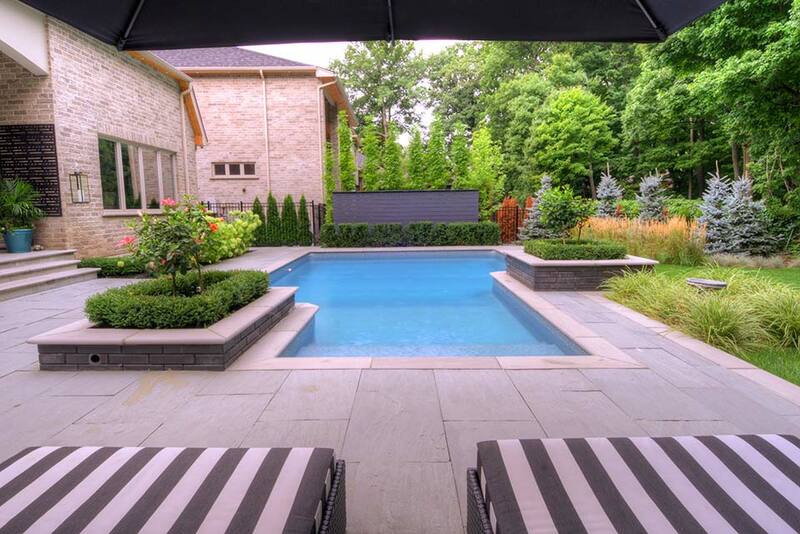 This space is truly a triple threat with it’s custom shaped 20 x 32 foot inground pool, glamorous lounge area and fashionable outdoor living space. 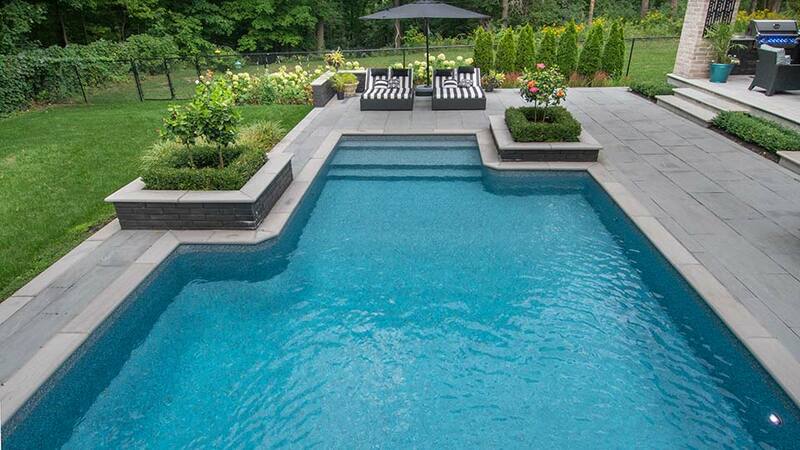 From the Walk-In Custom Open Top Steel Pool Steps to the black brick accents on the square landscape beds, this backyard is truly something out of a movie. 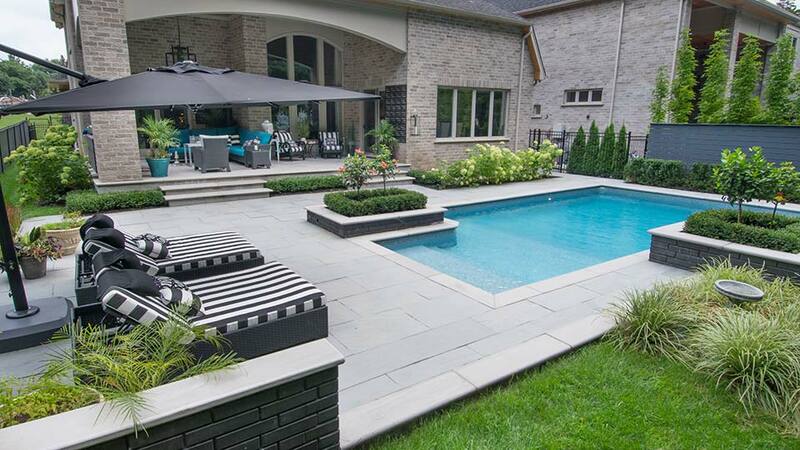 The black and white, and teal patio pieces thoughtfully match the pool and Salem home. 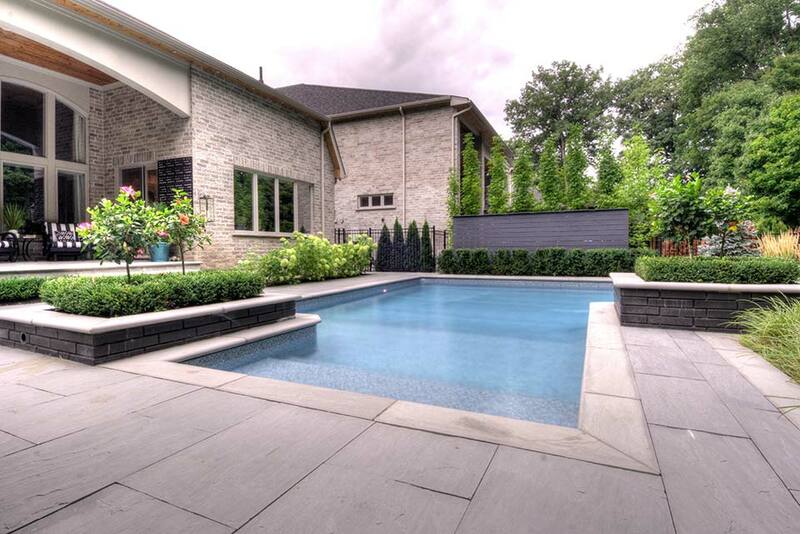 While the rich teal-coloured pool water offers a breathtaking view thanks to our Full Reef Vinyl liner. We believe that every inch of the Salem backyard screams luxury and we could not be more in awe of this glamorous space.